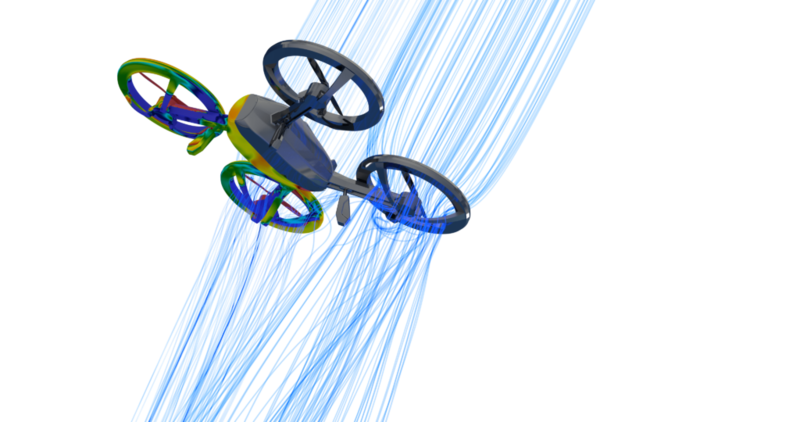 From Drones to UAV to virtually any type of aircraft, leverage TotalSim’s CFD capabilities for your aerospace and defense R&D challenges. With extensive experience in aerospace and defense, TotalSim integrates advanced CFD technology to help you visualize a solution, interrogate flow and simulate aerodynamic performance – all without having to manufacture a new part. When it comes to aircraft aerodynamic performance reigns supreme. Our CFD tools help you understand and visualize the way your air vehicle performs in ways that would be cost-prohibitive or near-impossible in a wind tunnel. Drawing from experiences that match or outpace industry standards let us help you hone the aero design of your vehicle so that you can ensure mission success. Lower your R&D spend on prototypes with virtual prototypes, expand your capabilities to assess lift, drag, and moments without the need to conduct as many expensive physical tests, and enhance efficiencies by automating workflows. No matter your specific goal, TotalSim thrives on solving the most complex aerodynamic challenges.